While no one has been able to stem the tide of cracked software pouring onto the Internet in the past two decades, a not inconsiderable event in the past 24 hours will see one prolific source shut down for good. An infamous piracy group responsible for the release of 30,000 cracked titles over the past 14 years says it will close and disband after a four year old leak compromised security. Lz0Before the advent of the Internet, regular computer enthusiasts looking for software had few options other than to buy boxed software from specialist computer stores or paw through magazines looking for mail order outlets. Distribution routes were poor but for those with a like-minded friend – or a friend of friend – pirate copies were never too far away. Of course, when the Internet took off things changed massively. Free software became available to anyone willing to persevere, not just those with access to a private BBS. Applications for just about any purpose were uploaded to the Internet thick and fast and as a result manufacturers had to think even more about their copy protection mechanisms. But while software houses were applying anti-piracy measures to their products, plenty of groups were at work stripping them out and sharing DRM-free versions with close friends and associates online. Inevitably though, so-called “cracked” software leaked out, meaning that pretty much everyone could gain access to zero cost software, often on the day of release – 0day as it’s known. 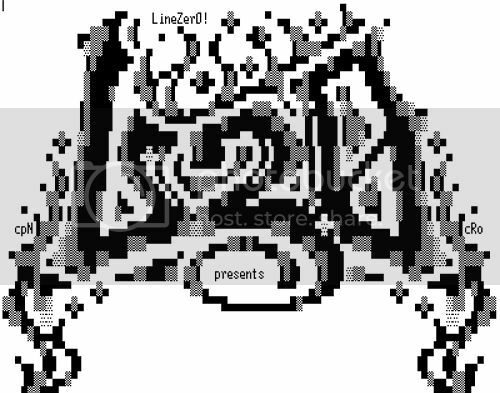 Created way back in 1999, one such group was LineZer0. More commonly known by the characters Lz0, the group has operated for an incredible 14 years and to say they have been prolific would be a massive understatement. During that time Lz0 has delivered an incredible 30,000 software and games releases for desktop machines and handhelds (including iPhone and iPad), each designed to be enjoyed only by the reclusive ‘Warez’ scene. “We do not wish for our releases to be widely spread across web boards, P2P networks and the like. While we do know that occurs we strongly urge people to not share these titles at such places,” Lz0 stated in their releases. Few took any notice. Typing the term ‘Lz0′ into any search engine or torrent site reveals endless streams of cracked software from hundreds of companies, for anyone to download and enjoy, for free. But for Lz0 and their countless fans, the final curtain came down prematurely yesterday. Over the weekend someone in the warez scene released information that was obtained as part of a security breach against Lz0 in 2009. While assuring people that much of the data was related to closed sites and individuals who have since left the piracy scene, Lz0 felt it had no option other than to close down the group and retire completely. “We’ve shared a long and fun road, and we’re sad that this is how it ends,” Lz0 said in a statement. The group confirmed that the names Lz0 and Lz0PDA will be put completely to rest – no one will ever be able to genuinely use those tags again. Additionally, hundreds of software companies will be able to breathe a collective sigh of relief, at least until other groups take up the slack. But annoying companies was never LzO’s stated aim. Finally, for some the joy of cracked software was not the tools themselves, but the entertainment value of the additional items groups like Lz0 packaged with their releases. For many – piracy dramas aside – the kind of music and graphics illustrated below provided the most intoxicating mix.